Andrew Garfield: ‘Trickster’ Reads at the Library | Andrew Garfield | Just Jared Jr.
Andrew Garfield picks up a few new books from the library on Wednesday afternoon (December 5) in Beverly Hills, Calif. The 29-year-old Amazing Spider-Man actor checked out “Synchronicity: Science, Myth, and the Trickster ” by Allan Combs and Mark Holland, “Witness To The Fire” by Linda Schierse Leonard, and “Trickster Makes This World: Mischief, Myth, and Art” by Lewis Hyde. In case you missed it, Dane DeHaan just nabbed the role of Harry Osborn, Peter Parker’s best friend in the upcoming Amazing Spider-Man sequel. 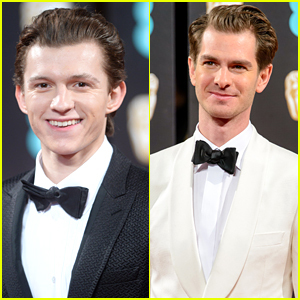 'Spider-Man' Actors Tom Holland & Andrew Garfield Finally Meet! 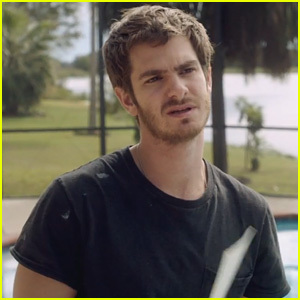 Andrew Garfield Loses His House in Dramatic '99 Homes' First Trailer - Watch Now! Emma Stone Dresses Down for Date Night with Andrew Garfield! Andrew Garfield Goes Surfing After Reuniting with Emma Stone!